NATION WIDE SHIPPING, THROUGHOUT SA, FREE DELIVERY ON PURCHASES ABOVE R1500! FREE DELIVERY on purchases over R1500! Navigation Home Shop – Products — Bedroom Aids — Adjustable Beds — Hospital Beds — Home Care Bed — Mattresses — Rise Recliners — Patient Lifters — Mobility Scooters — Pressure Care — Oxygen Concentrators — Wheelchairs — Walkers — Bathroom Aids — Sleeping Aids — Dementia Care — Bariatric / Heavy Duty — Pediatric — Medical Appliances — Bath & Nursing Appliances – Shop Pages — Shop All Products — Wishlist — Track Your Order Hire & Rentals Contact Us CALL US ON 086 11 PRIMA | 77462 FREE DELIVERY on purchases over R1500! The 4110 Paediatric unit is one of very few beds designed to care for the recovery needs of smaller children. 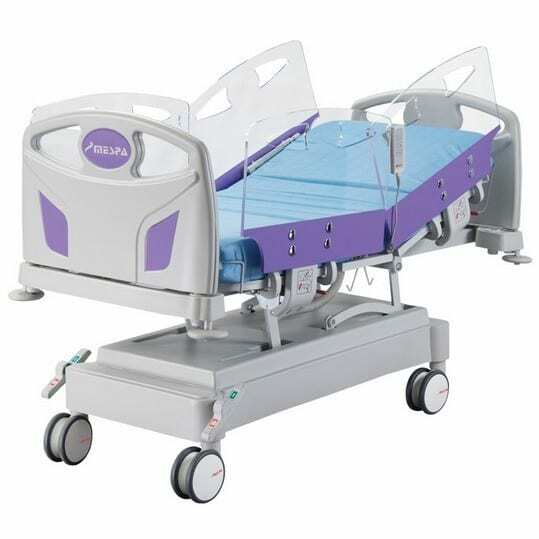 With the 4110 Paediatric all functionality of an ICU beds is now adapted for children.